Hola folks! Winter is finally here. And the best part about winter? The white plush, smooth and silky blanket of frozen water that we all know by snow. Snow is like the little droplets of soft frozen water falling from heaven. It makes everything white. The color of peace surrounds us and engulfs us in its tranquil folds. Another thing about snow is that you can build snowmen! Imagine two forts protected by snowmen and an army of opposing siblings having a snowball battle! The best team wins. Are you ready for the battle? Also, did you know the snowmen were a symbol of the French Resistance? In December 1870, during inactivity in the Franco-Prussian war, the soldiers in the French National Guard built a monument to display their movement towards independence and they chose the snowman as their representative. 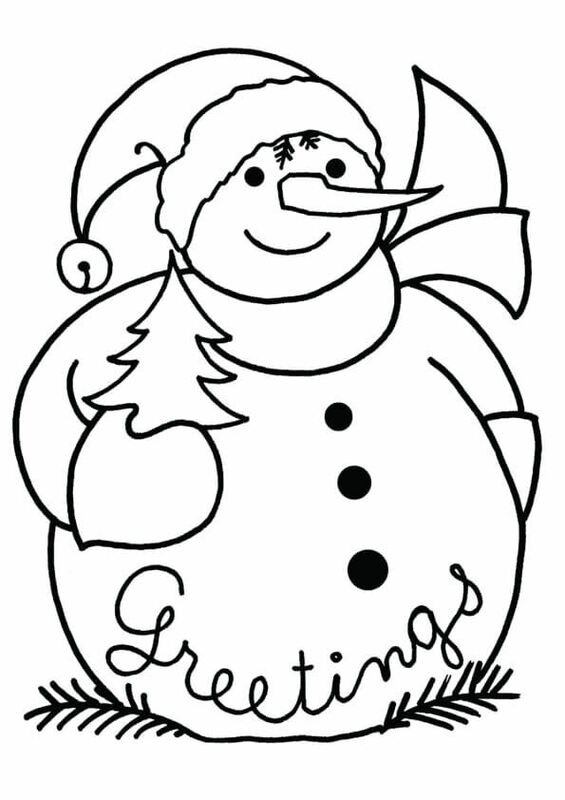 Let the fun unfold with our collection of free printable snowman coloring pages. Ready to make some snowmen? Here is an outline on where and how to begin. 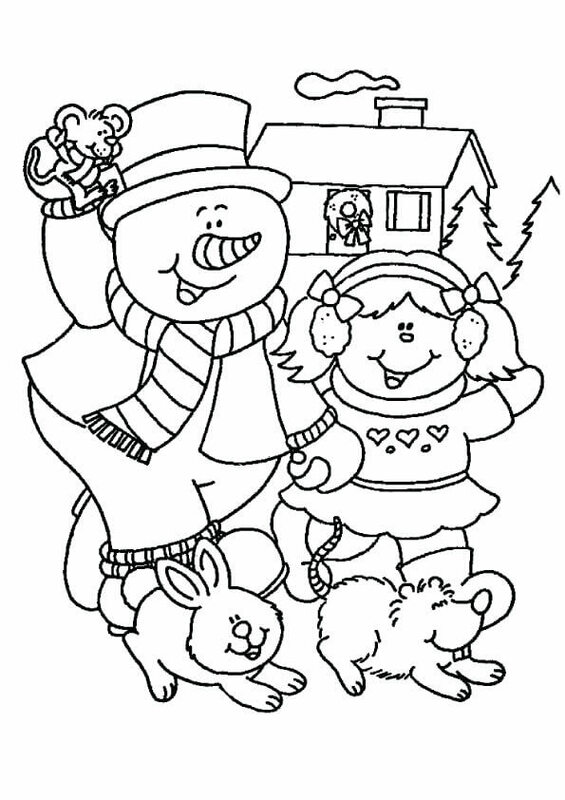 Print it and let us begin coloring. Look at yourself, all covered up in, wrapped in the blue muffler, layers of red jackets and a funny green hat as well as thick black shows with an amazing grip! What are you standing beside? Is that a human? But he is too white. Oh, wait! We know him. He is the legendary snowman protecting the yard from intruders. The winter version of a scarecrow! Do not forget the buttons while building him up but for now, color the buttons orange and the hat your matching red. Gather your siblings, call your friends and rope in your friends! It is family time and it is a fun time. The white of the heaven has descended the world of mortals. Make the most of it. In other words, make the most snowmen out of it. Here we have the proud leader of the snowmen, Calvin. 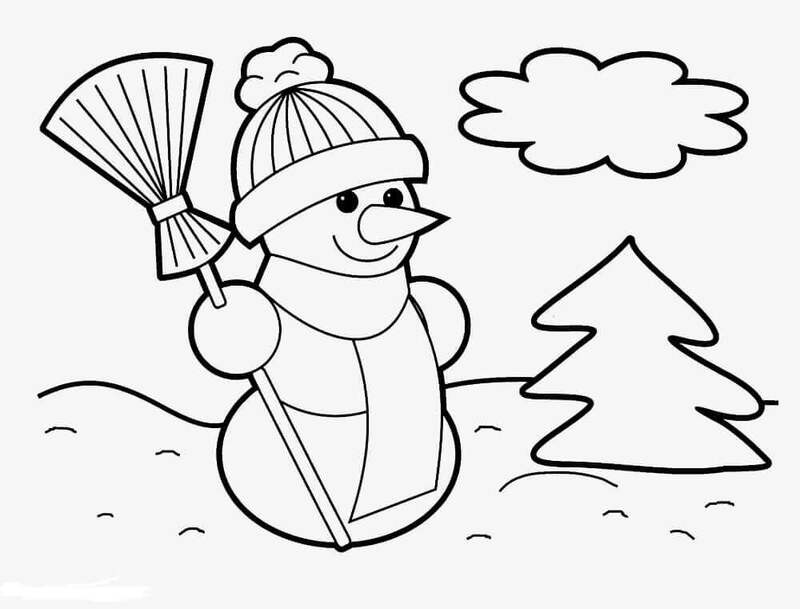 Don’t forget to color the broom majestically. It is Calvin’s royal stick. Want to have a cute friend? Do you have the skill to befriend snow? Snow surely does know how to make friends though. She lets you play with itself and make more friends! Build your snow friend right now. Bonus point: He would not mind being hit by snowballs. 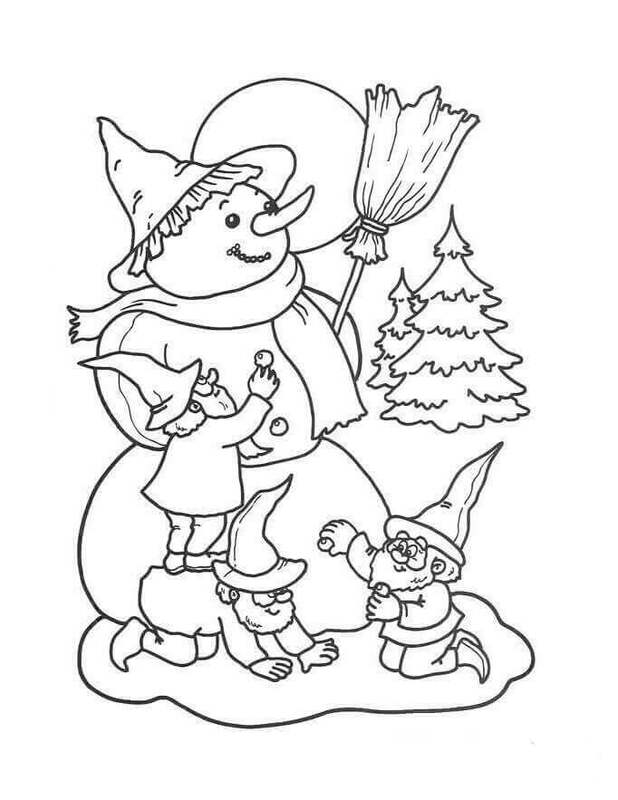 Color this image well. Winter has many delights! Christmas is one of them. Tradition calls for the decoration of a Christmas tree so that Santa Clause can discreetly give you this year’s gift. But shouldn’t Santa be greeted by someone on his arrival? Well, it cannot be you because then Santa would not come. I know the perfect welcoming party for him. Build him his own snowman! Snowmen are like humans and they smile all the time. Welcome, Santa Claus this Christmas with a smiley creature awaiting his arrival. Everyone loves to see smiling people. But what humans love more is a wholesome embrace, a hug from someone with a smile extending from his left ear to his right ear and hands spread as wide as they could stretch! Picturing someone? I sure am. 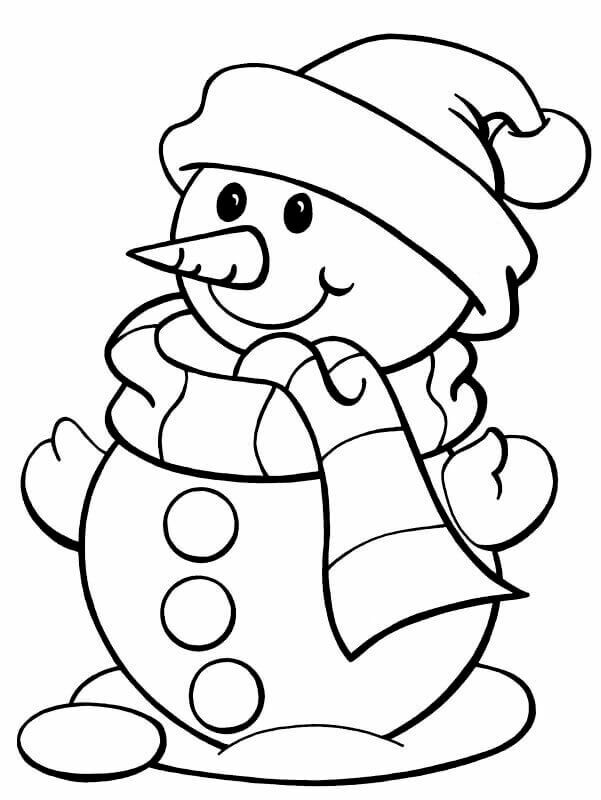 The cute and cuddly snowman! 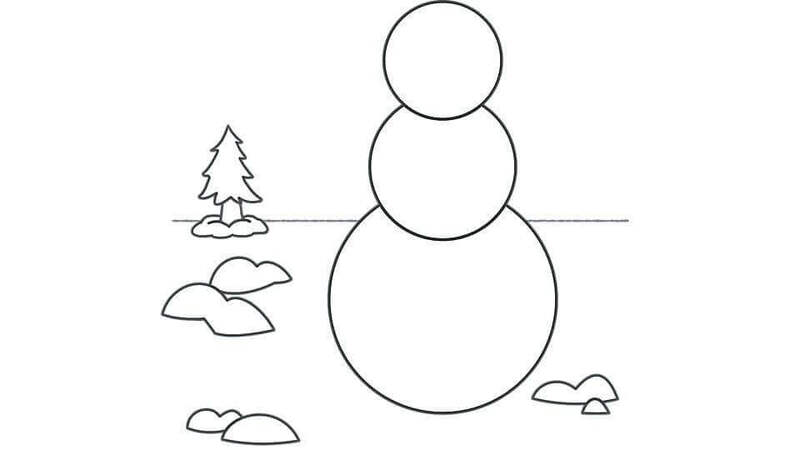 Let us color this already white picture and don’t forget the orange nose or the black buttons with the brown arms. Want to clear away that sidewalk? But your parents have asked you to do it alone, haven’t they! Psst! I have a secret helper for you! Build your friend, Gary, the Snowman. He will keep you company for hours while you shovel away the sidewalk and clear the garage front. He won’t even mind being hit by a few snowballs! Color him well. Ever tried building a bigger than life Snowman? The residents of Bethel, Maine, USA sure did! And it is not a snowman but a snow-woman with wreaths for eyes, eyelashes as skis, arms as trees and five-foot tires as buttons. Her height is a hundred and twenty-two feet and an inch. She took over a month to build and the world record was set on February 26, 2008. Color this tall woman well. 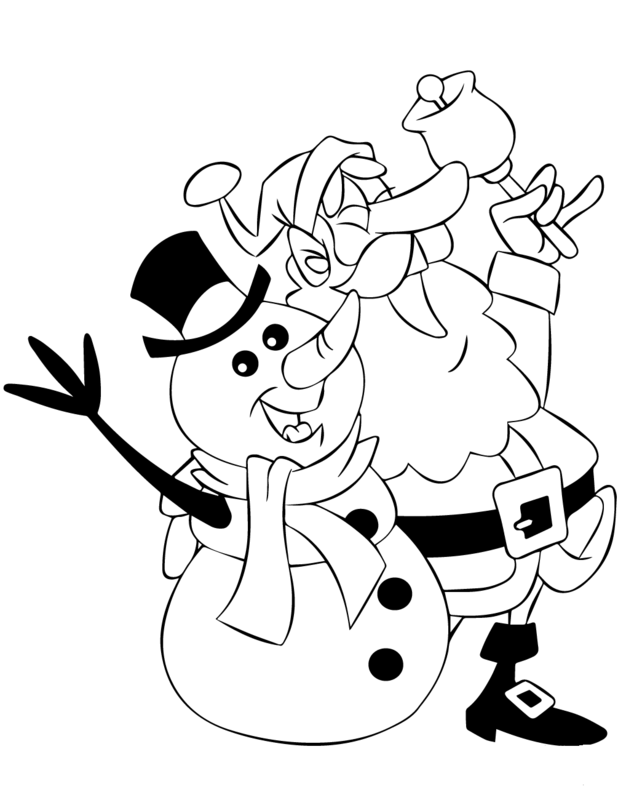 “Frosty, The Snowman”, is a song written Walter “Jack” Rollins and Steve Nelson. It was recorded in 1950 and is quite a popular Christmas song. It was so popular that in 1969 an animated Christmas television special named, “Frosty, the Snowman” was aired on December 7. 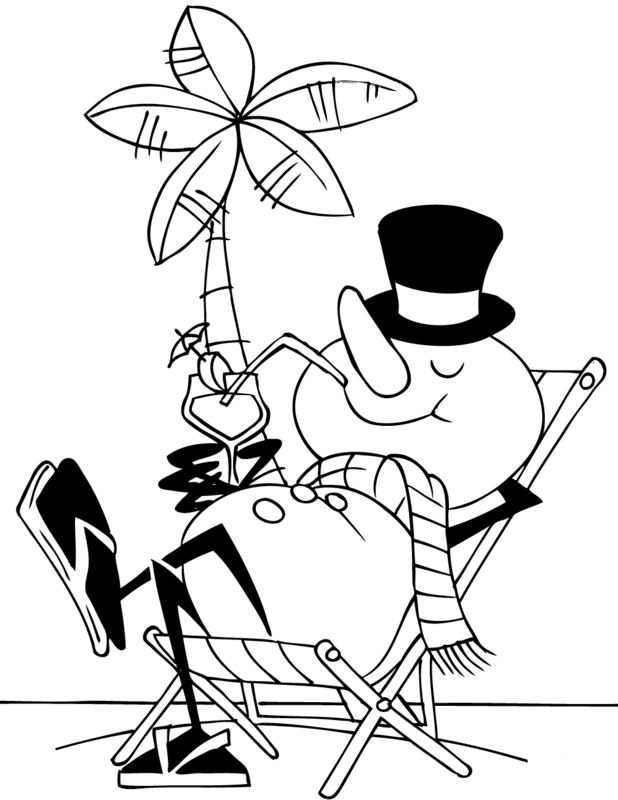 Colour this happy character. Remember those days, when you were young and short and your dad was strong and tall? The good old Basketball days? 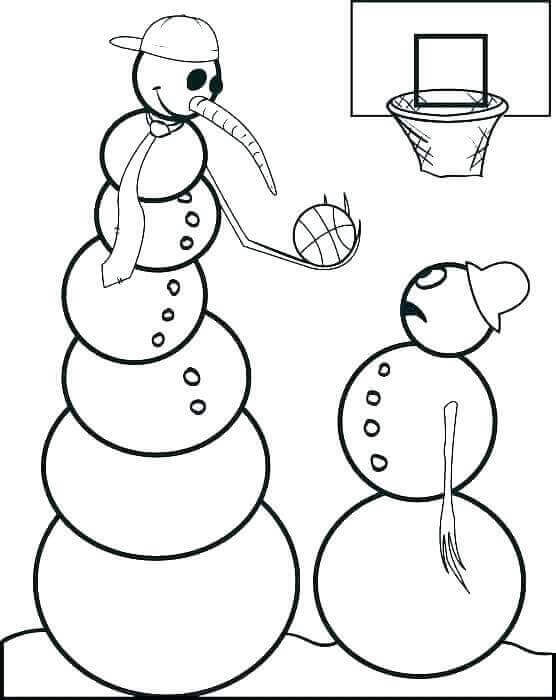 Looks like ‘Daddy Snowman’ is teaching ‘Child Snowman’ to play Basketball. 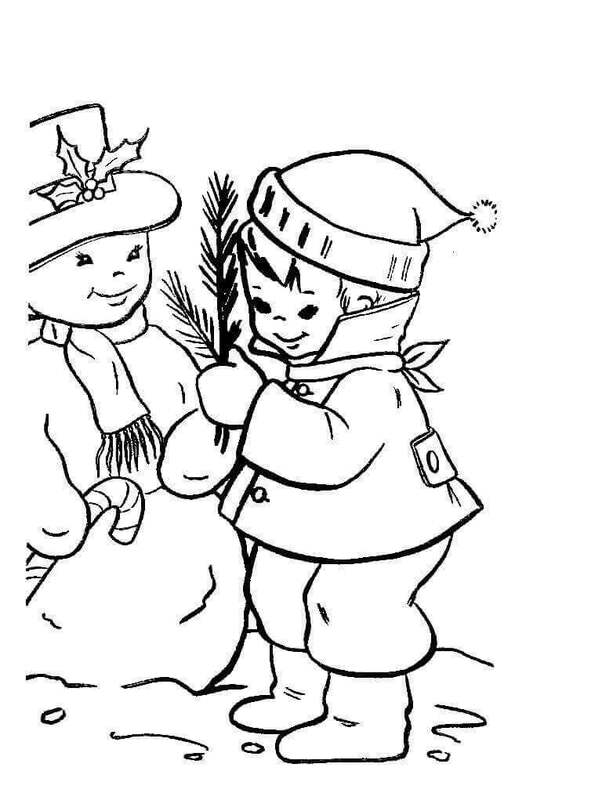 Color this childhood scene and recreate the same in the snow outside. P.S. Call your dad too. Frozen, an animated Walt Disney Production of 2013, tells the story of a courageous princess who along with a rugged iceman has embarked on a journey to find her estranged sister. Olaf is the snowman created by the two sisters, Elsa, and Anna in their childhood. 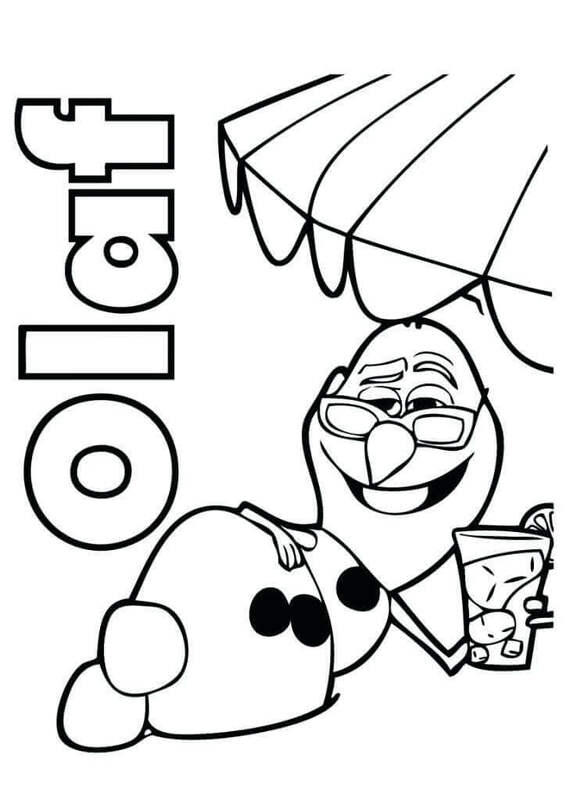 Color this gleeful character with happiness. It is winter and Pooh and friends cannot wait to have some fun together with Mother Nature. 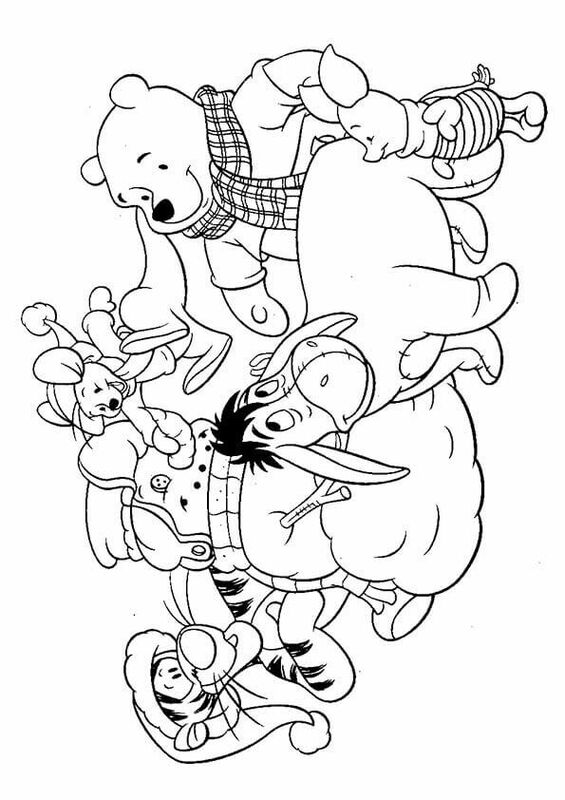 Pooh, Piglet, Eeyore, Tigger, and Kanga have got together to build their new friend Snowee, the Snowman. Look at the excited Kanga jumping up high in the air to give Snowee his new nose. Let us join this party and build our own Snowee but before that color this picture. The winter fervor is full of festivals and surprises! Santa Claus and the Snowman together. What more could anyone ask for!? Let us sing ‘Jingle Bells’ in a unison with them and celebrate the snow with Jesus’s birth. Pick up those white, black, red, green and golden colors and get going. 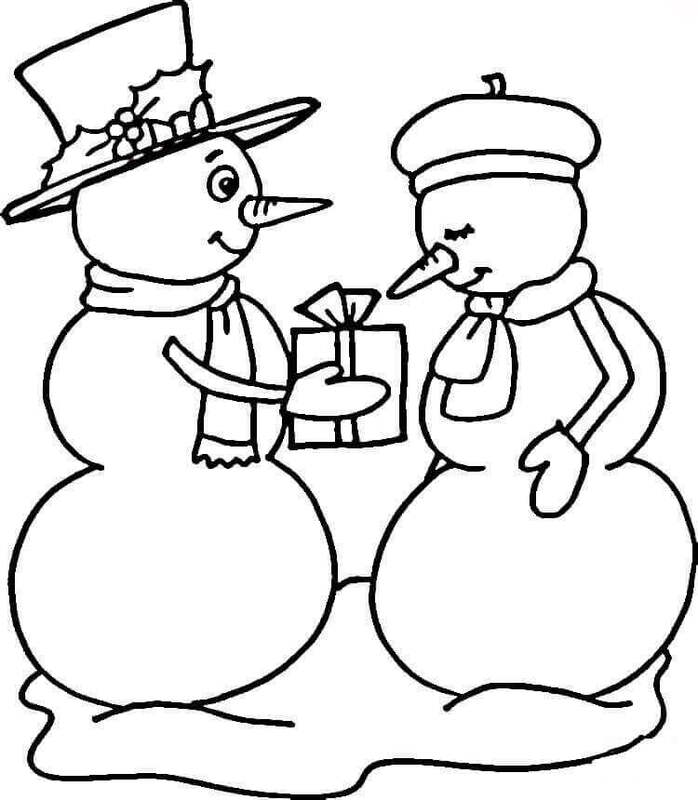 Ever wondered who created the first ever snowman? Well, we do not know about the ‘who’, but we do know that the earliest mention of a snowman was in a book called, ‘Book of Hours’, back in 1380, and the book was found in Koninklijke Bibliotheek in The Hague. 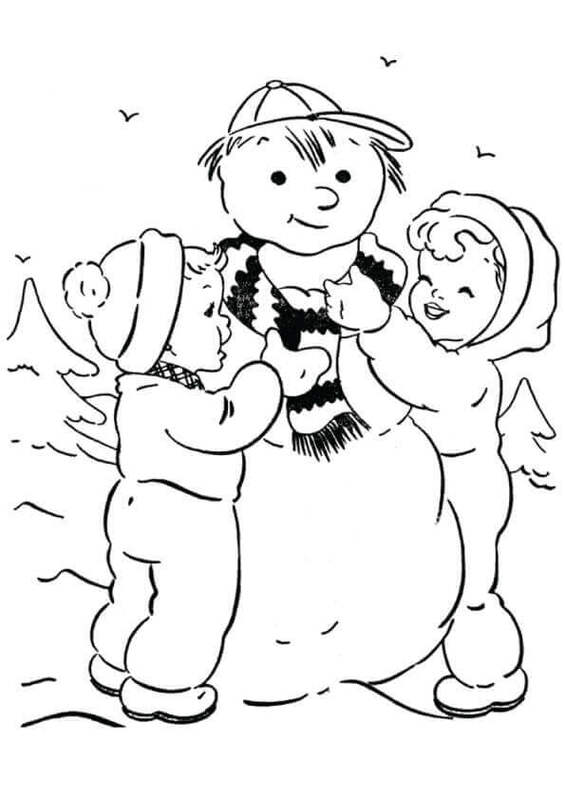 Let us celebrate the christening of ‘Snowman’ this winter by coloring this greeting card. Skiing is a lot of fun, isn’t it? I think so! 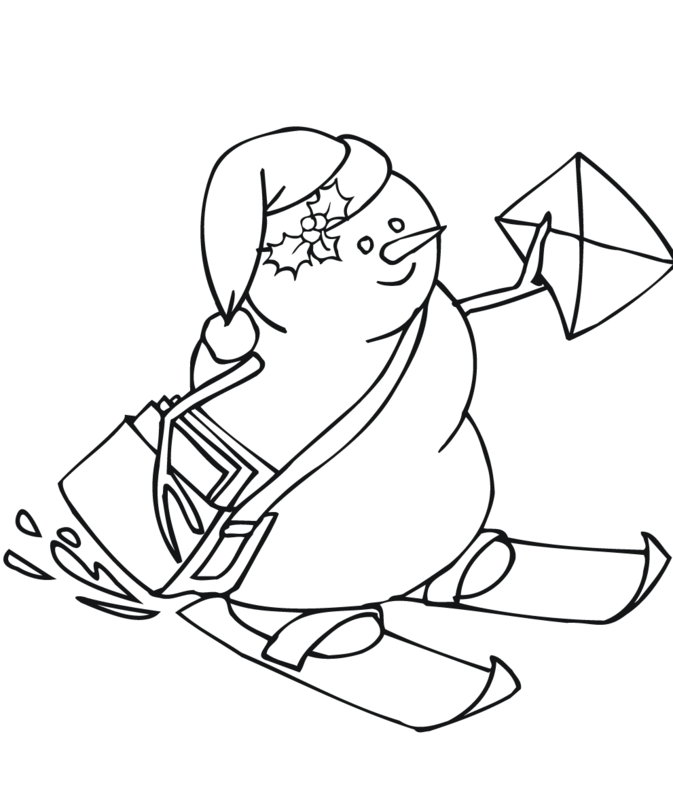 Imagine you are going down the hill and suddenly by your side, a Snowman with a ski set appears out of nowhere. How funny would that be! The best part is, that even if he topples off, he can just rebuild himself directly from his surroundings. 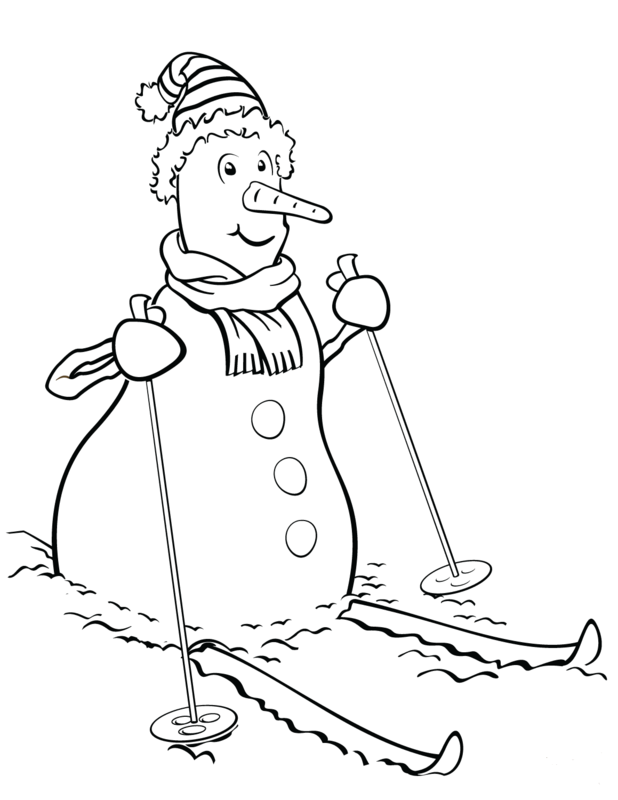 If I could only become a snowman in winter, I would never get off the ski. Let us paint some bright white and give this picture a life. Spinach, Leeks, Kale and Collards, Parsnips, Lettuce, Cabbage, Turnips, and Chard. Can you guess what is common in all of them? All of these can survive the snow. They are hard vegetables! And what would be appropriate to keep the crows away in the snow? You guessed it! 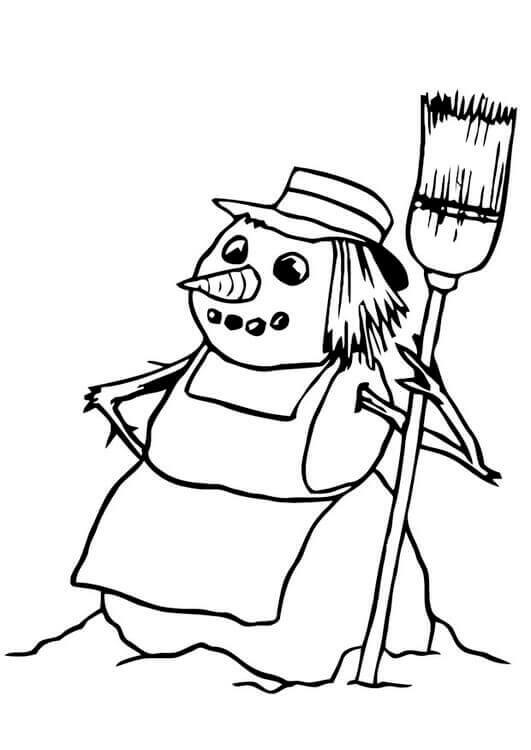 A Scarecrow, snowman. Let us erect this scarecrow so that we can enjoy these beautiful veggies this winter. Snow White needs a Snowman too. Looks like Grumpy, Happy and Sneezy are going to build her one this year. A surprise for her in the morning! 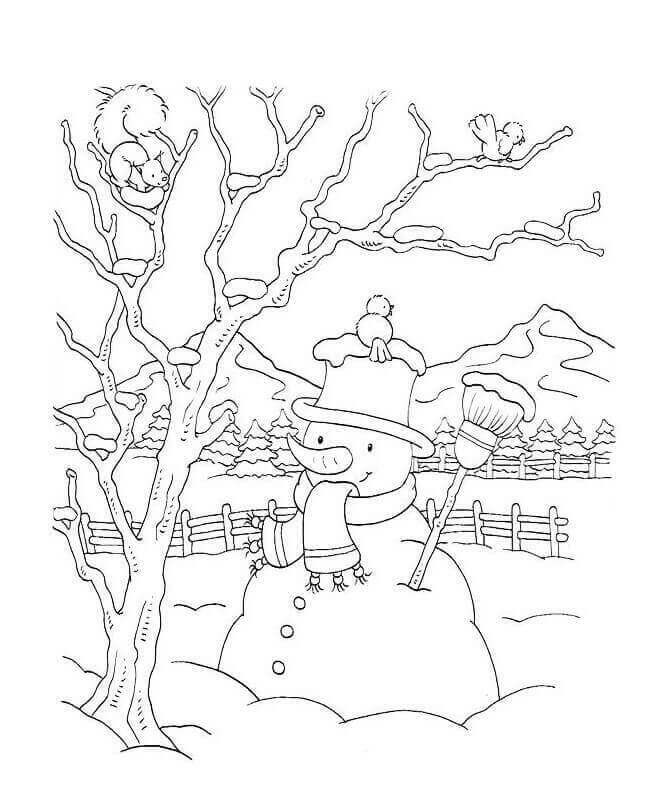 Color this picture beautifully with the moon in the background of a green and tranquil wintery night. 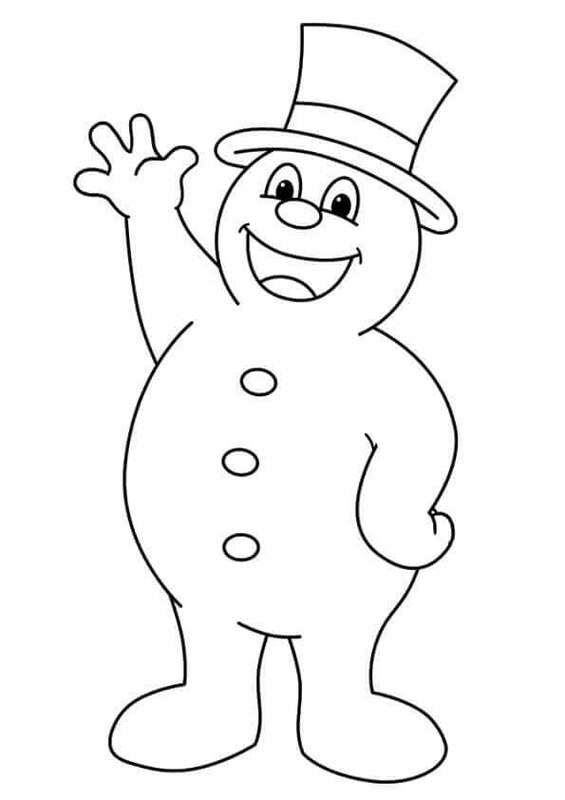 Snowman is a versatile creation that can be dressed up as and into anyone! From a scarecrow to a friend in need, or perhaps funny granny or even Santa Claus. Fancy a villain? Well, you can make him into an old ‘90s villain, Godfather style! 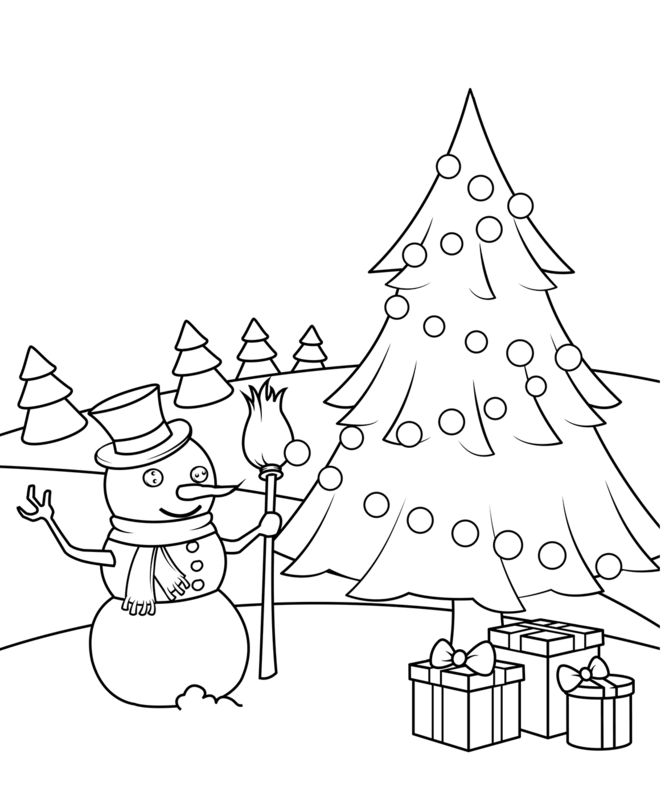 The more you can imagine, the more shades will the snowman reveal. We have portrayed twelve of them in this picture. So, get coloring. 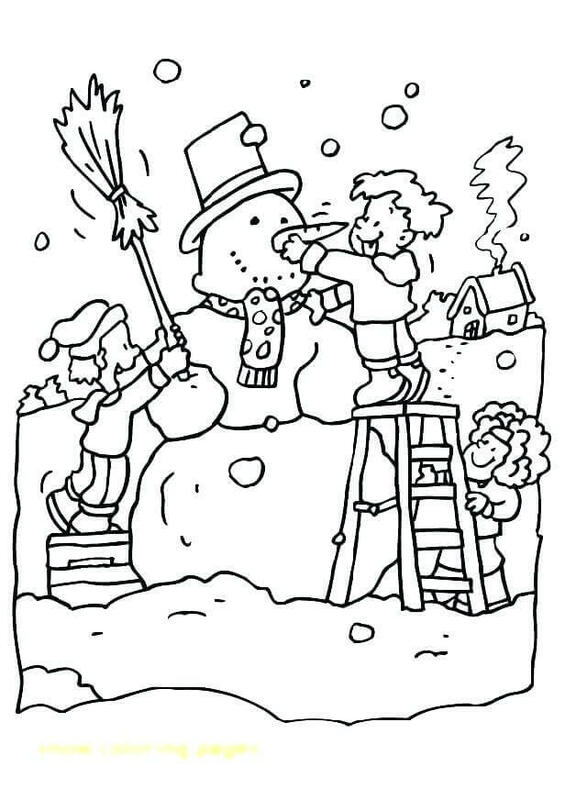 The tallest snowman was a whopping 122 feet and an inch tall. What about the smallest? The smallest snowman was created back in 2009, by the scientists at the National Physical Laboratory in West London. It was just 0.01 meters in height and this was achieved by using the tools that are used in manipulating nanoparticles. Let us color him well. Do you find penguins cute? I sure do! At least in cartoons! So here we have the cutest blend of a penguin and a snowman! But remember, when you color him, everything except his body and his face needs to be completely black. A snow woman is almost like a physical manifestation of Mother Nature during winters. It looks like she is filled with all the love there is to give and her children, the animals seem to sense her presence. Look at how happy they are frolicking in her lap. Colour this picture with all the love it shows. There was a small hut made of ice in the snowy woods. And in it lived a happy family of Clucky, the snowman. With him lived his daughter Matilda and their ever-growing lists of pets, Mr. Mouse, Mr. Rabbit and many more. 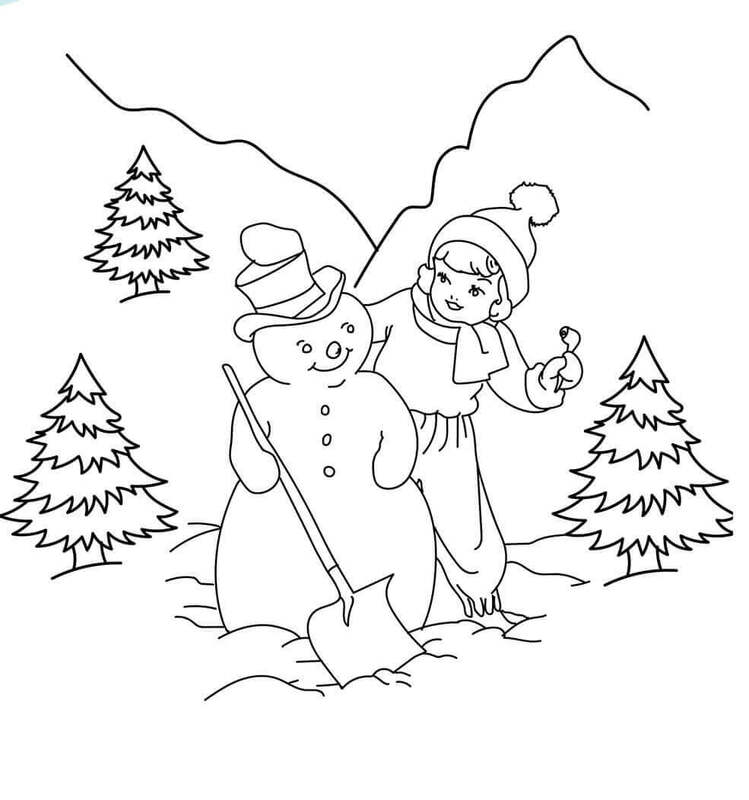 Let paint the snow in the forest of White and help this family live and live happily ever after. Greet this winter with ‘Hello Kitty’. 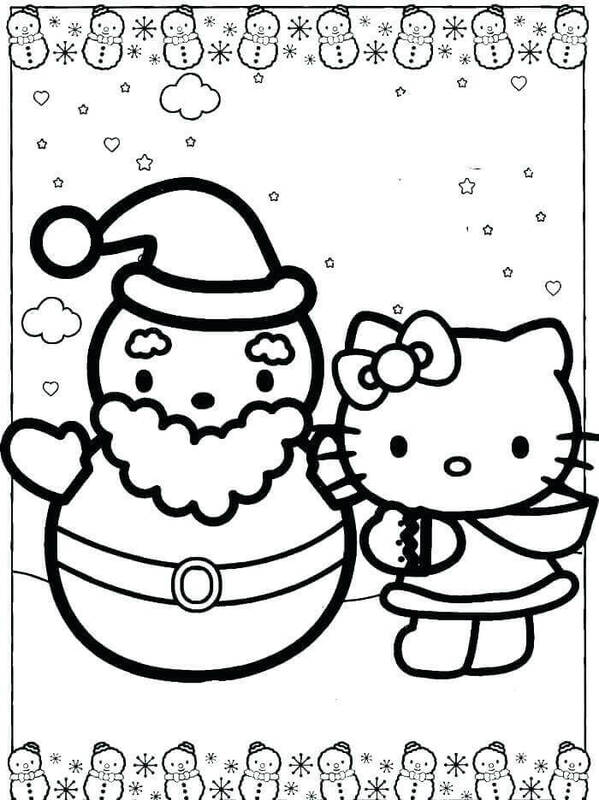 Build a snowman and click a picture of the Kitty and the Snowman together. Voila! You have a greeting card. Can’t find ‘Hello Kitty’? Don’t worry, we have here one made just for you. Just start coloring and you will be ready in no time. We have all made millions of Snow-angels in the snow! Oh wait, you haven’t? Go jump out in the snow immediately, lie on it and begin flapping like a bird with your arms and legs. And there you have it! Your first Snow-angel. Build a snowman to give the company. So much to do. 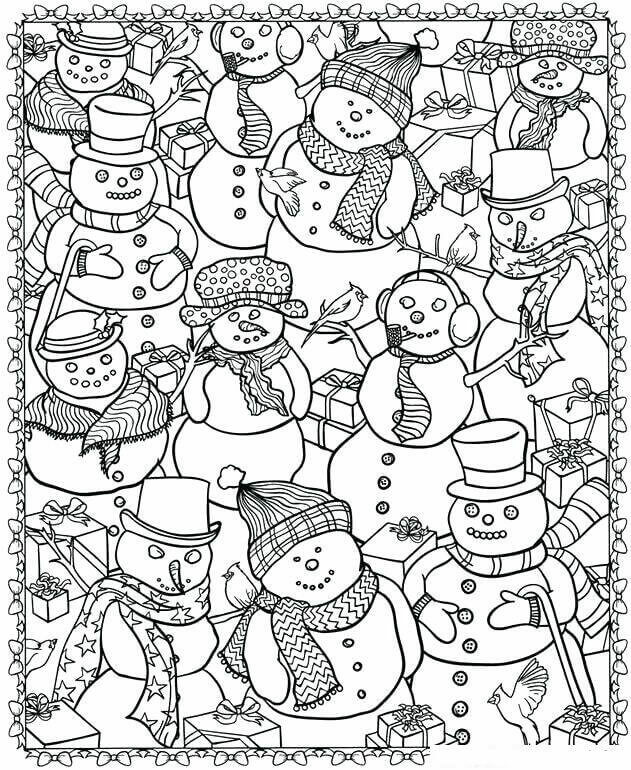 Let us move quickly but before heading out, color this. I just love marriages. Everyone is happy. All of us are dressed beautifully. Smiley faces all around. The place looks beautiful. And the best part is, that there is tasty food being served. Feeling nostalgic about the last wedding you attended? 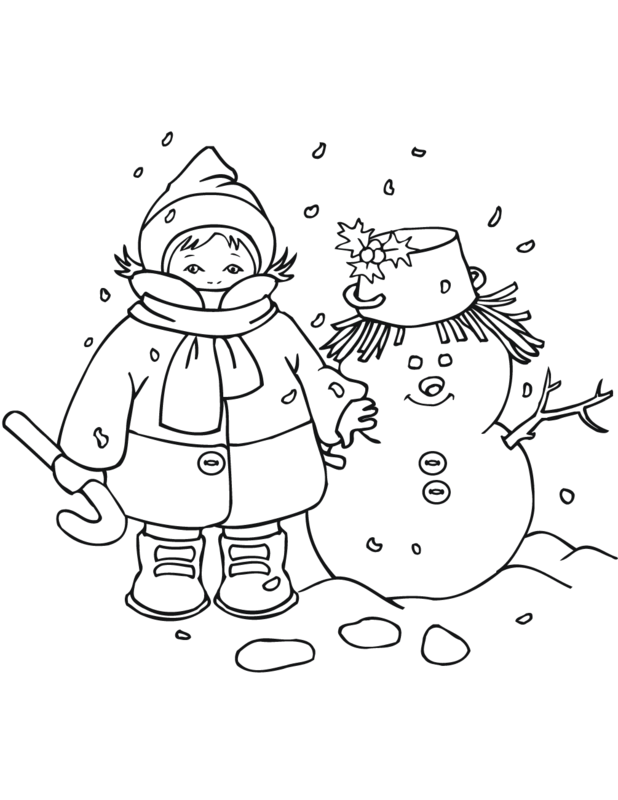 Worry not you can create one this winter by creating a snow couple. Happy Colouring. Let us have some winter fun in the backyard. 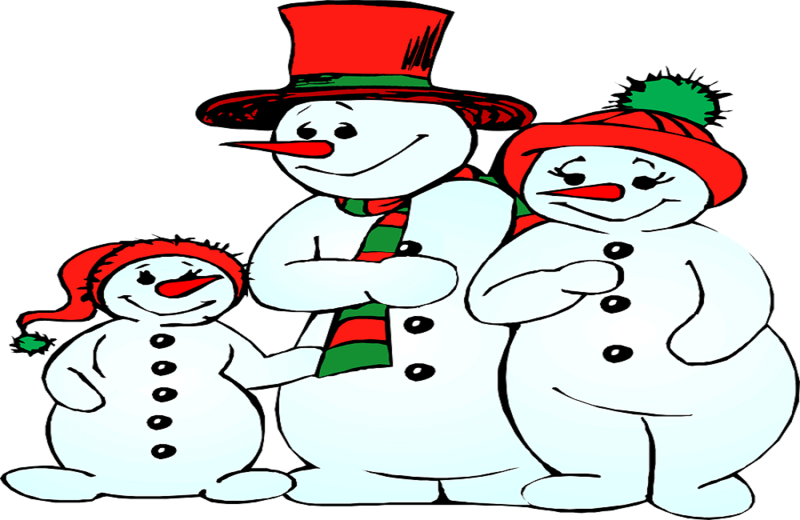 Call upon the creatures of Nature and let us together build a few snowmen to accompany them. Color your backyard well. It is funny how something so inanimate can look so alive. Build a snowman Santa but before that color this picture well. He is a Cool Snowman. No, really he has to be really ‘cool’ to be on the beach. Let us color him well. Want your notebooks to show the winter they are in? Print this page and make this your cover. Don’t forget to complete the outline. Winter is being heralded by the rotation of the Earth. Want to receive a notification? Worry not! The snowman is at work. Look out of the window, and you will see a white human-like thing on skis rushing to your house with a letter as white as himself in the twig-like hands of his! 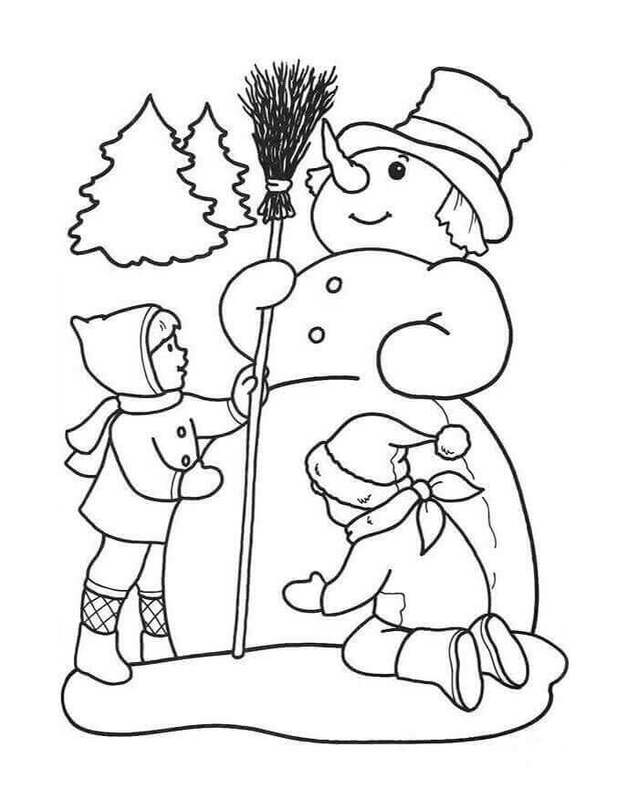 You will just need a lot of white and a hint of red and green to bring this snowman alive. Colour away! 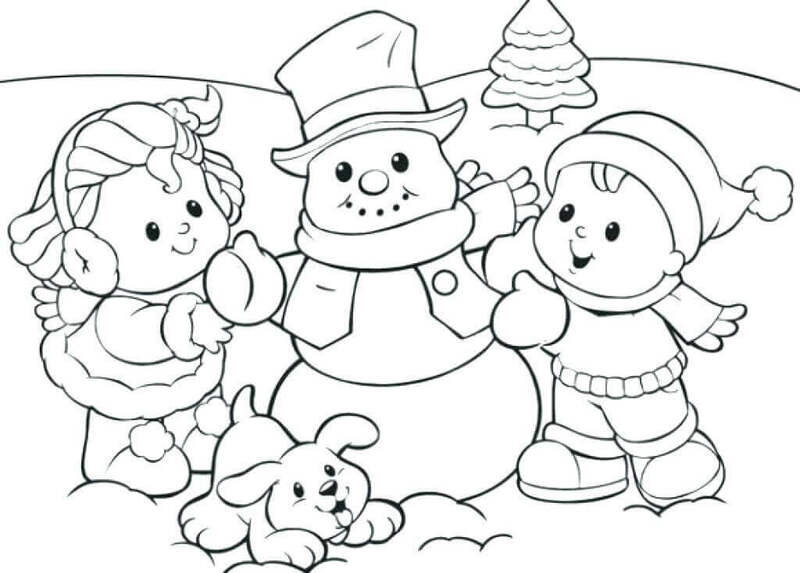 We have given you plenty of ideas through our snowman coloring pictures to print on how to play with snow, haven’t we? Let us gear up well and begin! 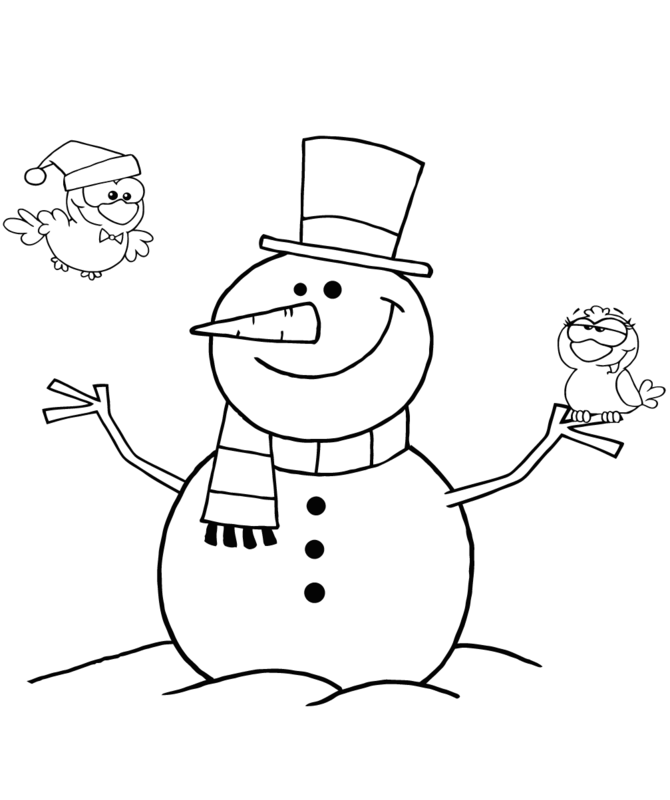 Tell us in the comments below how you like your snowman to be.